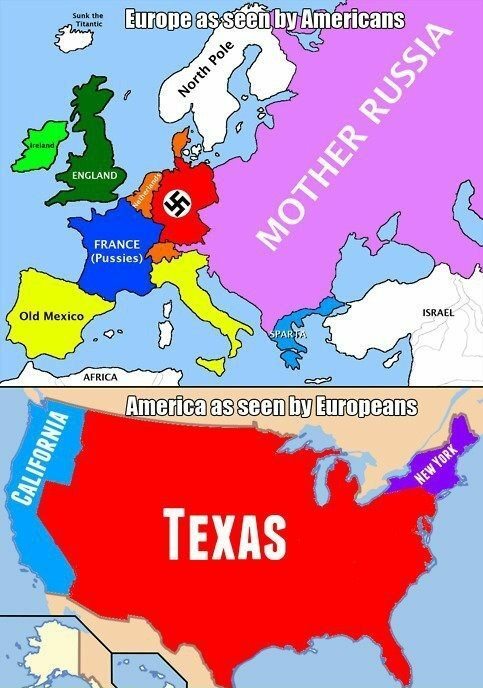 I found this cool image the other day that explains the stereotypes that American/European have about the others' country. For Americans, you have the Nazis, the Commies, Israel, the Frenchies, the place where you buy pot (Netherlands), the "other" Mexicans, and England and Ireland. For the Europeans, you have California, New York, and Texas. That's it.